Description: The Twisted Tullibee from RubberHairy Tackle, is hand poured swimbait made entirely in the U.S.A.. Rubber Hairy Tackle has made several key design improvements to make the Twisted Tullibee even better for 2012! With a blend of saltwater plastics, the cigar shaped body surrounds a strong internal harness that holds two, 4/0 Mustad treble hooks. The two, 8 inch tails of the Twisted Tullibee provide constant life like action on any type of retrieve. 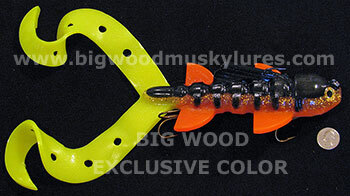 Side fins shaped like wings combined with the large, double tail gives this Muskie bait a gentle glide and extended "hang time" when working this lure with a pull and pause retrieve. Tie on a Twisted Tullibee from Rubber Hairy Tackle this season for big Muskies and Pike! 12.5 inches long and 3.5 oz. 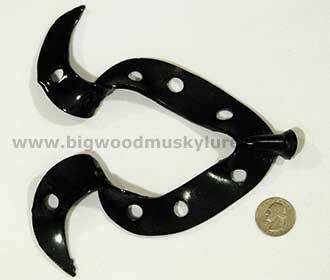 Description: Rubber Hairy Tackle standard Twisted Tullibee replacement tails are here! Redesigned and improved for 2012! 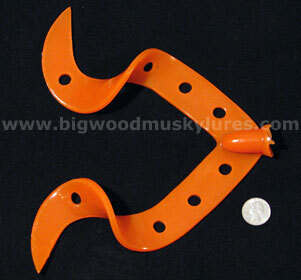 Use your favorite adhesive or a lighter to replace your ripped or broken Twisted Tullibee tails. 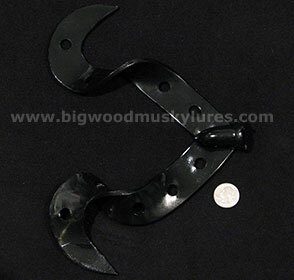 These replacement tails are for the standard 12.5" Twisted Tullibees. Sold in 2 packs. Description: Introducing the Mag Twisted Tullibee from RubberHairy Tackle! Following the tremendous success of the original Twisted Tullibee, Rubber Hairy Tackle's new Mag Twisted Tullibee has the same great action and dimensions as the original in a magnum size. 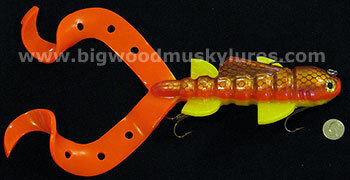 At 16 inches in length, this soft plastic muskie bait represents more than just a snack for truly big muskies! Yet, at only 10 ounces in weight, the Mag Twisted Tullibee is considerably lighter than other soft plastics out there of similar size. Like it's predecessor, the Magnum sized Twisted Tullibee has wing-like fins, that along with the double tails, allow for gentle glides and an extended "hang time" with a pause and pull retrieve. Great choice for fishing a big profile plastic bait over shallow weeds or rocks. Built entirely in the U.S.A., the RubberHairy Tackle Mag Twisted Tullibee has a heavy duty internal harness surrounded with durable salt water plastics that will stand up to multiple catches. 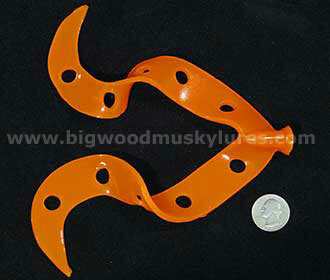 Rubber Hairy Tackle has redesigned the Magnum Twisted tullibee to be better than ever for 2012! 16", 10 oz. Description: RubberHairy Tackle Replacement Tails are now available for the Magnum Twisted Tullibee from Rubber Hairy Tackle! These tails are the new, redesigned and improved tails for 2012! Don't throw away your Twisted Tullibee just because the tails were bit off. 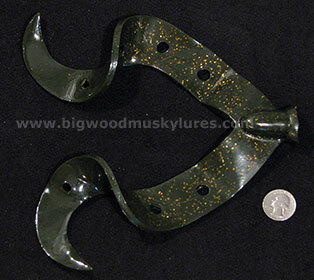 Keep a spare tail or two handy so you can keep that hot color in the water! Use Mend it! 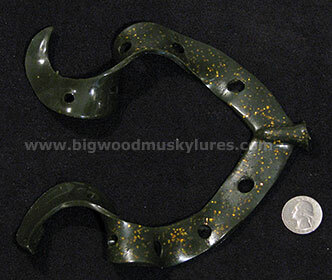 or your favorite glue to re-attach the Magnum twisted Tullibee Tail. Sold in packs of 1 tail.